Halloween is a secular holiday combining vestiges of traditional harvest festival celebrations with customs more peculiar to the occasion such as costume wearing, trick-or-treating, pranksterism, and decorative imagery based on the changing of the seasons, death, and the supernatural. It takes place on October 31. 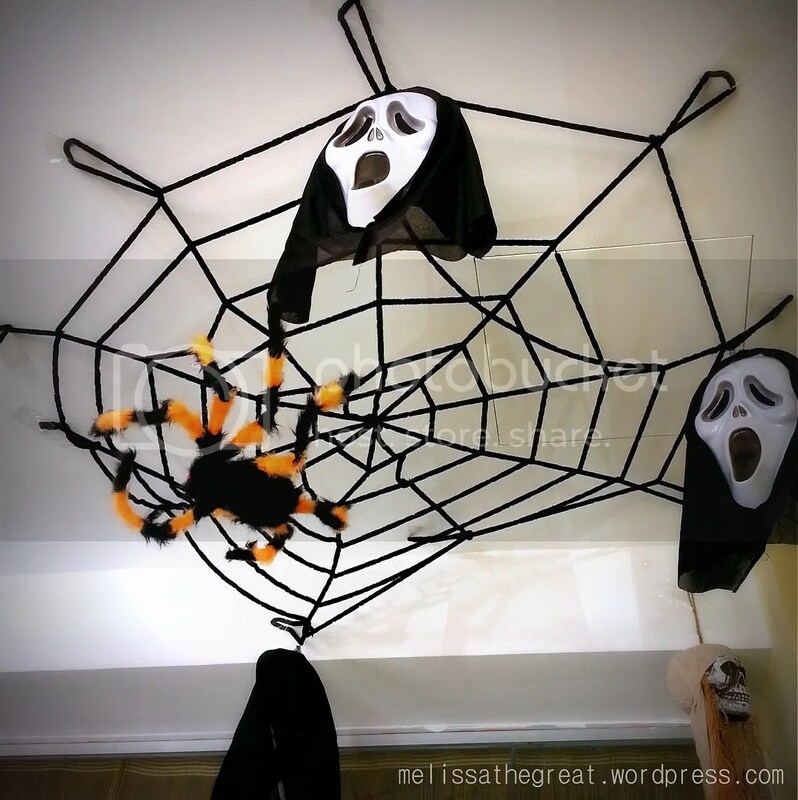 Though it was regarded up until the last few decades of the 20th century as primarily a children’s holiday, in more recent years activities such as costume parties, themed decorations, and even trick-or-treating have grown increasingly popular with adults as well, making Halloween a celebration for all ages. 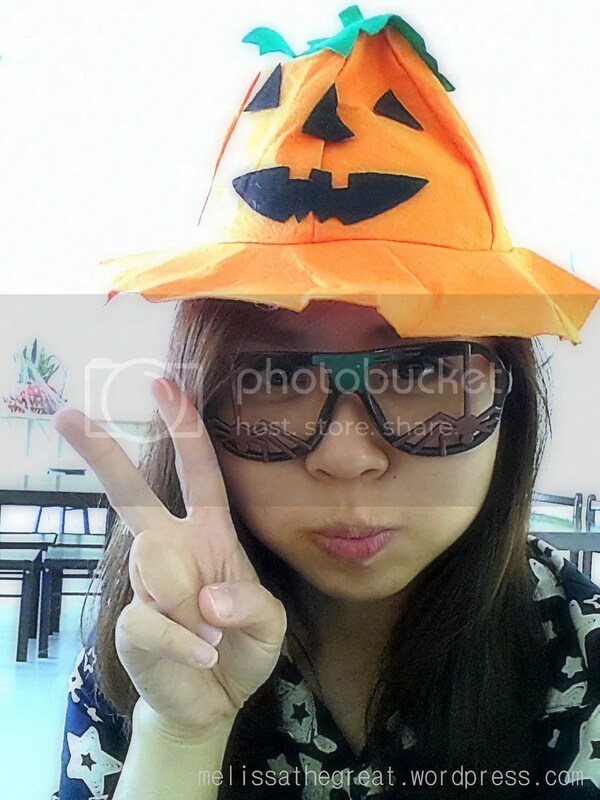 Did you participated in any Halloween party? 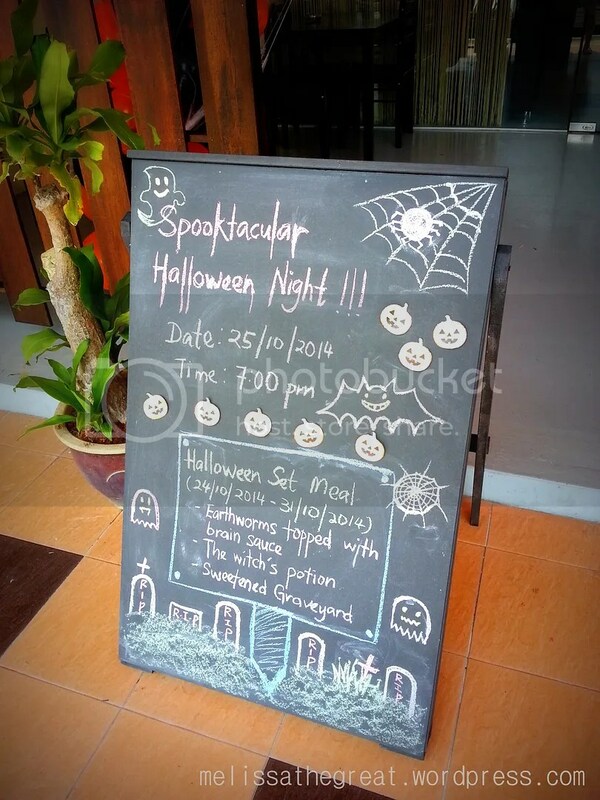 The Coffee Parlour at Seremban 2 has came up with the idea of introducing Halloween set meal in conjunction to Halloween day. 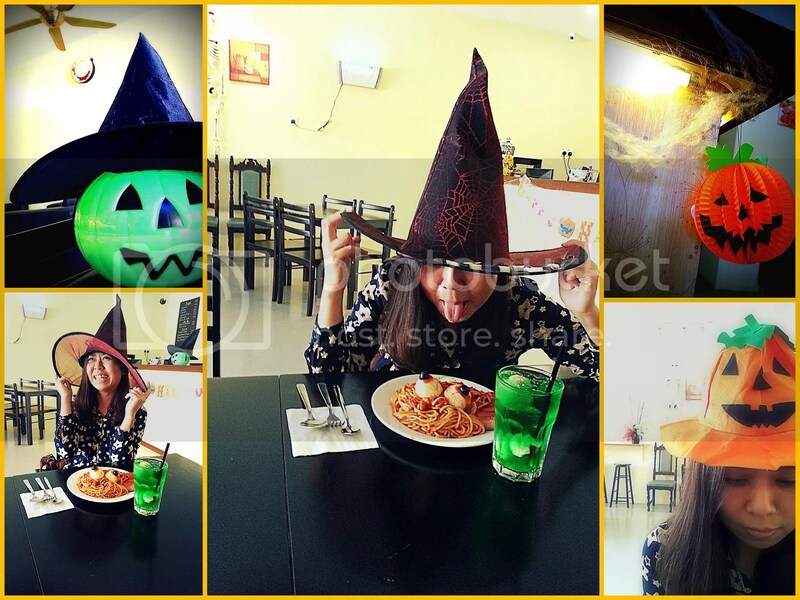 The Halloween set meal was available from 25/10/2014 till 31/10/2014 for just RM18.80. 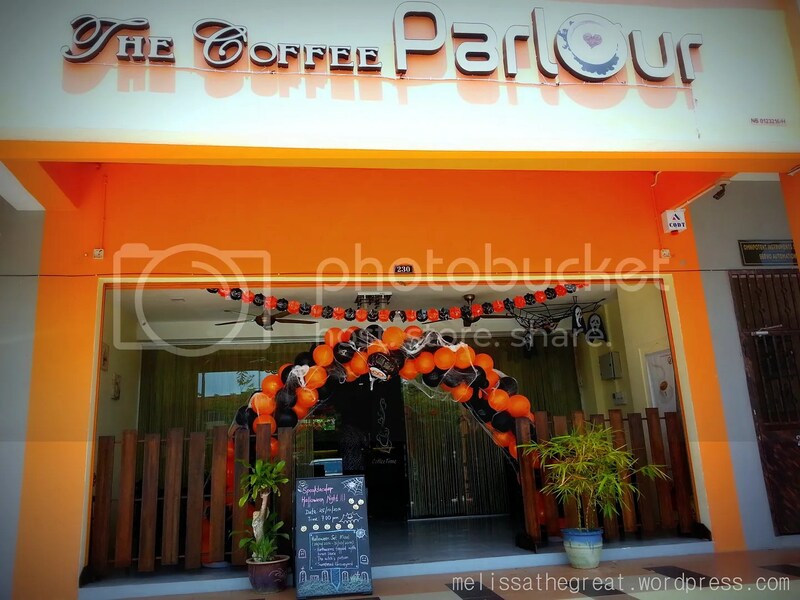 At The Coffee Parlour, they also serve aromatic coffee and cakes are made fresh. This was the Halloween Set Meal. Eerie? Gross? Its actually Spaghetti Bolognaise. Fingers are made of sausages. Nails are made of almond flakes. Eyes are made of hard boiled egg with olives. 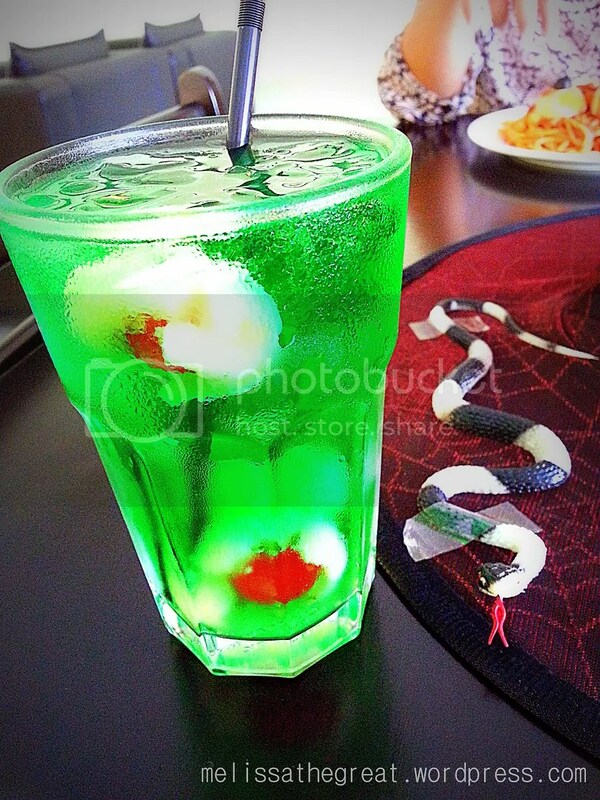 Its actually F&N carbonated drinks with lychees+cherry. 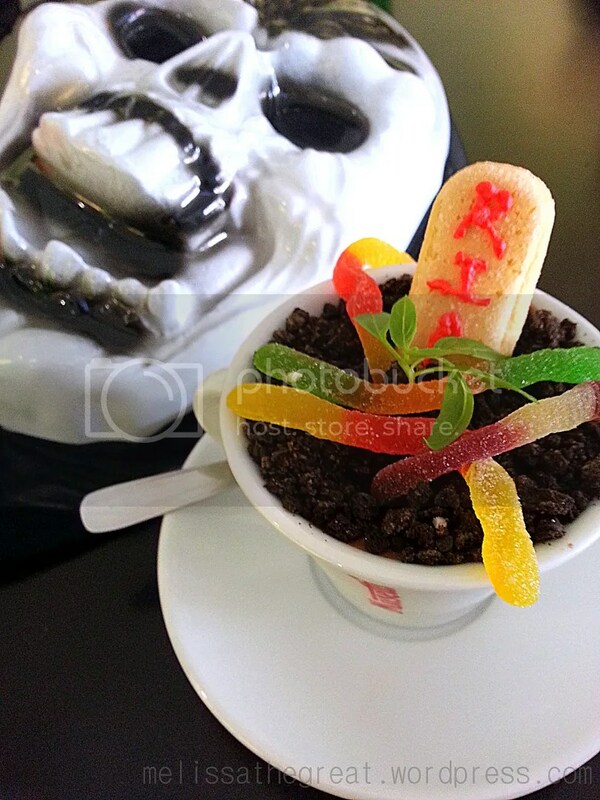 It was a fun Halloween lunch! The menu was creative and the food was good. Although I felt the fingers (sausages) were quite ‘geli’ while eating it. but the overall setting seem fun ler. 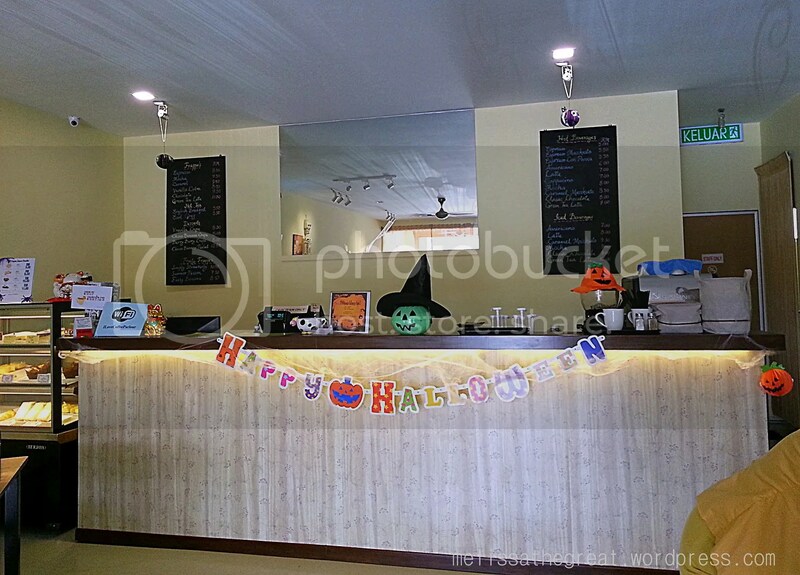 Disgusting, the eyes and the fingers…but not as bad as the photo I shared on Facebook – the Halloween decor at a cafe/restaurant in Kuching. So sick, no brains! Loved their lamb shank, best I’ve had anywhere…but after seeing the photo, I will never want to go and eat there ever again. Aiyor….graveyard, tombstone!!! Old Chinese people sure will shake their heads and say no good, no good. Bad luck lah. Getting carried away, taking it a bit too far lah! Sean – Thank you! In KL you can’t find any? 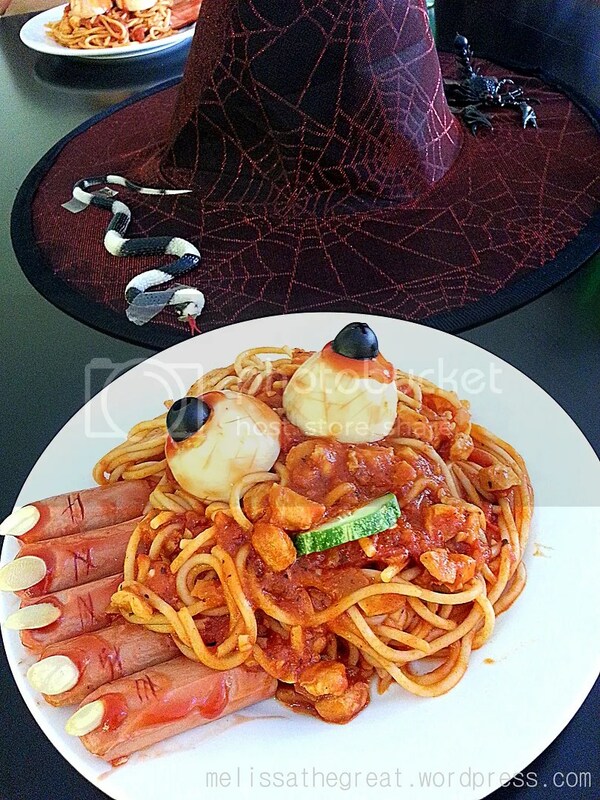 That spaghetti is pretty eerie! Baby Sumo – TQ TQ TQ! Yalo… indeed quite happening now. Many new restaurants coming up. darn, this is good. 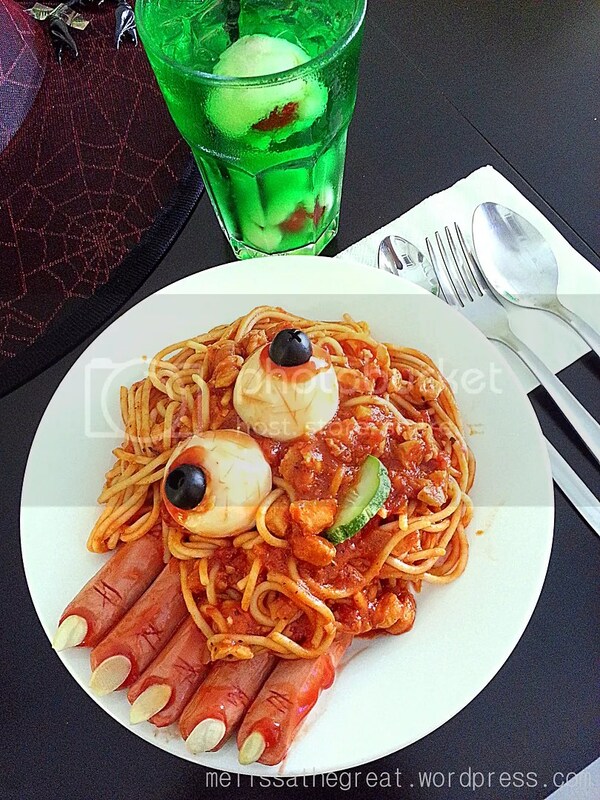 if I knew any restaurant with such classic Halloween food. I would have went. 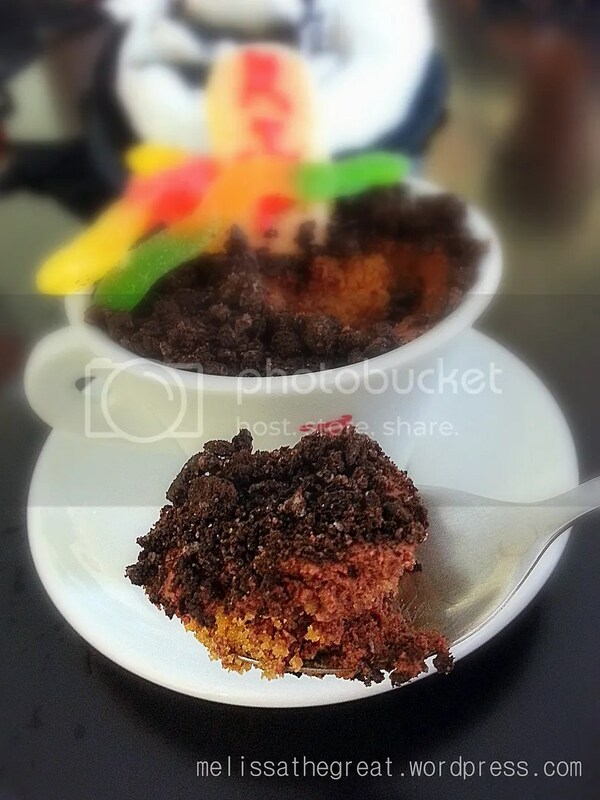 Walao, the fingers so “geli”, I actually saw a friend of mine made this last year …. Hi Melissa, how can I get in touch with you? If it’s not too much trouble, can you please drop me an email? Many thanks.